As military researchers we divide records into three categories as outlined by the Department of Defense Archival Research: 1) personnel records 2) graves registration records, and 3) records from the field. See the Defense Prisoner of War - Missing Personnel Office for more information. We often speak of the IPF and researchers learn quickly that individual service files for soldiers exist; albeit, some have been destroyed, others reconstructed from the 1942 fire. Your veterans’ IPF may include enlistment and discharge details, payroll information, awards and promotions and various assignments and stations. Read Military Records Were Destroyed for more information. What is underutilized in our military research is the information that can be accessed for soldiers who were “killed in action” and those who died while in war or in service both stateside and overseas. Burial Files precede WWII Individual Deceased Personnel Files (IDPF). The Freedom of Information Act (FOIA) allows us to obtain IDPFs which were initiated in order to document soldiers’ military service, circumstance of death, location of interment during the war and efforts of recovering remains. The casualty report (DD1300) is included. IDPFs most often contain unit information and the soldier’s burial information is usually accompanied with an action report and death circumstance even if a soldier’s remains were not recovered or identified. Researchers may also find testimonies of witnesses in the field. Insurance papers and listing of personal effects may also be included. These files may be compiled on one page or stuffed in a tome-like folder to include family correspondence and multiple reports. Researchers often use IDPF files to determine the final resting place of an ancestor. Many bodies were moved from the original burial location and returned stateside or to an overseas cemetery. IDPF documentation will provide information on any transport. If the body was recovered, an autopsy report may be included. But beware, there may also be graphic photographs. Recently, for an exhibit, a curator was only looking for the graphic photographs. As this request is processed under the Freedom Of Information Act (FOIA) know that some next of kin and sensitive data may be redacted. Due to the backlog and processes, expect 6-9 months to receive an IDPF. However, thanks to a newer streamlining process, we have recently received them as early as 45 days. Our immigrant ancestors who arrived after June 29, 1906 needed a certificate of arrival as a requirement of the naturalization process. (Not a requirement if arrived before this date, but it may still be found on earlier ship manifests). By 1926, scribbles in the occupation column were used to verify a legal immigration/passenger record. For the genealogist, these scribbles provide hints to if your ancestor initiated his naturalization papers between 1926- 1942/43. Using these annotations the researcher may be identified in order to determine in which District an ancestor was living. Besides the series of numbers written in the occupation column indicating initiation of the naturalization process, or naturalization numbers on or above your ancestor’s line, you may find a X, far left, of your ancestor’s name. Most would dismiss this X as a cross out, but it actually indicates that an immigrant was temporarily detained for various reasons. To further decipher the X annotation, visit the Archives.com Expert article. Another “go to” article is Markings on the Manifest’s Left Margin by Marian L. Smith. Ecstatic about finding our ancestor’s often erroneously leads us to thinking “that’s all the information.” But you will want to check the end of the manifests for references and notes of the passengers, especially if there is a marking on the left column of the manifest. As early as 1903, the end of passenger lists noted Records of Detained Aliens and Records of Aliens Held for Special Inquiry for court hearings, passenger fees or other reasons. Visit: Board of Aliens Held for Inquiry for more information. Researchers will find that understanding manifests annotations and markings will assist in bringing down brick walls. You may wish to take a longer look at those passenger lists. Where Was Your Ancestor on Christmas? Using documents, troop reports and photos held within the National Archives and Records Administration (NARA), we can often place veteran ancestors wartime movements. Recently, I did just this for an Australian client searching for her WWII soldier. 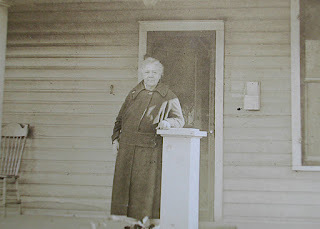 Once a photo was found in the NARA records, the client, now in her late 80's, was able to positively identify the photo. A French client, had early WWI photos of her ancestor. We were able to match NARA held photos with the one in her possession. This project ended in the joining of French and American cousins. But for some of us, we just want to know where I veteran ancestor was on Dec. 25, or on his birthday, or the 4th of July. Some veteran photos and documents are digitized as you can see on the Fold3 created the video Wartime Holidays. For USCT visit the USCT Pension Records page for documents. There are approximately 600,000 WWI Records online for research. Some of these records are accessible for free. The WWII digitzed records can also be searched by name, date or place. This collection holds a more complete set of photos and documents. For complete access of the Fold3 digitized collection visit the Fold3 website. If you are researching your ancestors in a vacuum, without knowledge of the era, event or community, you have probably failed to understand their life, their struggles, their decision. Sure you have documents, but do you understand the context of each of their pivotal events; the larger picture if you will of society? Have you read historical books or memoirs directly written in your ancestor’s lifetime reflecting their community? Even Rabelais dissected society to write his books. Historical readings will broaden your understanding of their life and societal impacts. Many of these selections are already available online, like Azel Ames’ The Mayflower and Her Log, July 15, 1620 – May 6, 1621, but the bonus of becoming familiar with Widger’s Library is its downloadable feature. You can download a complete set of books offered by an author listed in the index in order to link off-line to your smartphone or ebook. A full list of authors and works available can be found at the Home Page: Here are a few titles of genealogical interest. Have you traced your family to early French ancestor? Widgers Library offers a collection of Court Memoirs of France with active on-line links to all files. Moravians in Georgia by Adelaide Fries is a popular reference book. 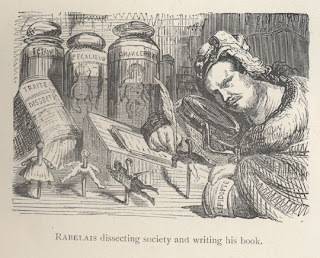 Folklore and tales are another way to understand the culture of our immigrant ancestors, and hopefully you are familiar with the Works of William Carleton, and his Stories and Tales of the Irish. A thorough way to study the Civil War is through the experience of the Generals. Memoirs of Three Union Generals, Grant, Sherman and Sheridan, is included in this collection. 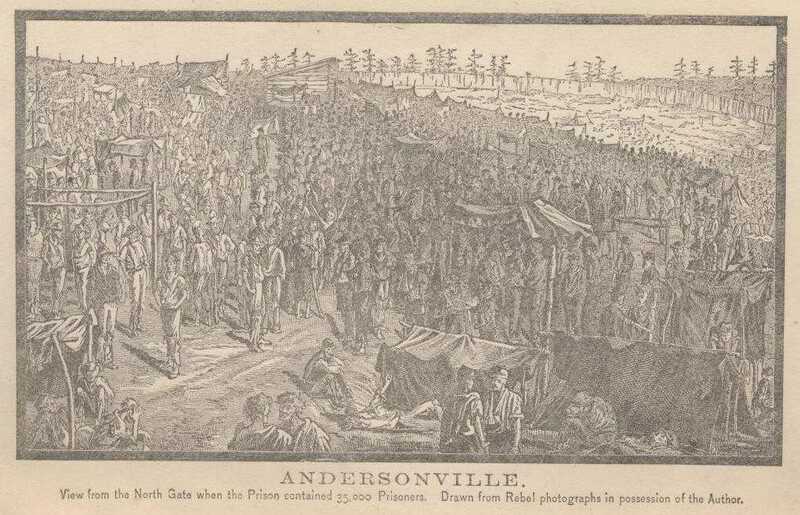 Was your ancestor a “guest” of a POW camp? 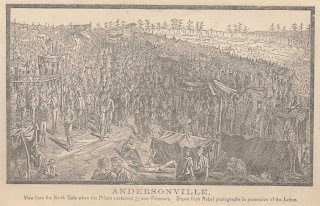 A Story of Rebel Military Prison, by James McElroy gives us a peek into the Andersonville POW Camp. This fifteen month account of a Guest of the So-called Southern Confederacy is published in four volumes. Memoirs and writings of the US Presidents help us understand the “whys” of the era. An Index of the Complete Writings and Papers of Abraham Lincoln with active on-line links to all files are included. There is also the Autobiography of Theodore Roosevelt. 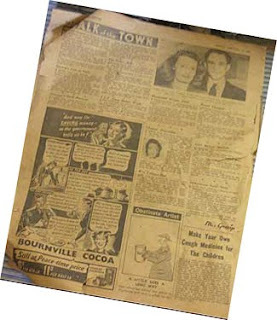 As genealogists we know to scour old newspapers for any information on our ancestors. They are everywhere online: Ancestry.com, archives.com, Library of Congress, and so many more subscription searchable database services, which puts less strain on our search. But what are you missing? Usually our interest peaks when we arrive at the Local News section or Society section. We quickly go into scanning mode, looking for a familiar name. But, there is so much more to be found that may give us a hint about our ancestor’s lifestyle and a bit of the social history of the time. I like to keep a few timelines in front of me on a few key areas: 1) Presidential Elections, 2) the Railroad, and the Westward Movement and 3) land avail abilities, and of course plagues, epidemics and such. This is especially helpful when reading the old newspapers. The abundance of movement and change that shaped America also influenced your Ancestor’s lifestyles and decisions. There are many hints in old newspapers to what was going on around your ancestor so take note of what is going on in that small (or larger) community, as well as nationwide. What was going on in the community six months before and six months after the Presidential Elections? Was the election reviewed by the Democrat or Republican newspapers ugly or civil? Did the community have respect for one another? Be sure to review the local fairs and jubilees. Did the newspaper go out of its way to mention a certain ethic group or their behavior? This may be a hint on whether your family lived in a cohesive or intolerant community. What was the information given on the local churches? Did the paper dedicate two of its three pages to church information? Even the way an obituary is written can give you an idea of the importance of religion to the community. I have one obituary where the man did not belong to a church, but they squeezed in “…was not a member of any church but a believer in God and friend of all churches…” This one phrase was included at the end of a four column obituary, and appeared to be for the benefit of the readers. The newspapers even posted recipes to be shared across cultures. Perhaps this is where you got Great Grandma’s famous crust recipe. No longer was sauerkraut and ribs a German dish, but due to the meshing of ethnic groups it became a common Midwestern favorite. My great grandmother passed down a horrific Tomato Pie recipe. But, I guarantee you, it has been squashed as a tradition. Line a deep dish pie pan with biscuit crust rolled thin; peel tomatoes and cut in half and place in one layer in dish; rub one large cup of sugar and tablespoon flour together and spread over it; season with pepper and butter and sprinkle with flour; fold over half and spread with butter and more flour; double once more; roll over carefully and you have a better crust than one made of lard. In the society information, what was deemed valuable? Some areas found education most important, others found hospitality to dominate the society page, while other newspapers used the society page as a boasting column for the lucky few. Either way, by analyzing your ancestor’s profession, their neighbors and the names in this column you can determine the makeup of their community and its cohesiveness. And never forget the ads. What was advertised? Real estate? Books? Medicinal Remedies? I found that in one Kansas newspaper for about four months in 1885, there was an onslaught of ads on cures. When I did the timeline for the town, Coldwater, there was a “mountain fever” epidemic during that timeframe. There’s so much more to find out about your ancestor, than a name in the paper (although exciting). Take the time to analyze the information given that developed their way of life and traditions. Looking for a photo of a Cleveland Service man from 1940-1955? Try the searchable database held on the Western Reserve Historical Society website. Maybe your search needs to begin with funeral records. Pease , JD Deutsch, McGorray Brothers and Chambers funeral home books have been indexed for various years and available for online searches on the Western Research Historical Society website. 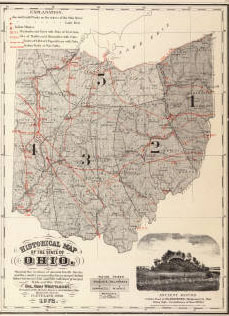 In addition to its online presence the Western Research Historical Society has a Research Center just waiting for researchers tracing their Cleveland and Northeast Ohio ancestors; and is filled with manuscript collections offering textural social history, cultural references and photograph from as early as 1839. If your early ancestors settled in the Western Reserve - Northeastern Ohio and western Connecticut lands, you will want to review the area history to understand the holdings and collections of the Western Reserve Historical Society. Note: this area was called the Western Reserve since it was the far west part of Connecticut’s contribution to the westward settlement. Over 18000 family histories are include on microfiche and in other publications. Visit the Western Reserve Historical Society Family History website for information on genealogy research. The African American Archives has an impressive newspaper collection, beginning with the Missionary Society of the Methodist Episcopal Church collection from 1839-1849. Another pre-Civil war publication was The Anti Slavery Bugle, New Lisbon, Salem OH, from 1845-1861. If your African American family was in the Cleveland area, you will want to peruse the Allen E. Cole Photograph Collection, 1919-1960’sof over 30,000 negatives and 6000 prints. Visit here for the listing of the AfricanAmerican Photograph Collections. The Irish American Archives holds papers and photographs. Available Collections are not online. The Italian American Archives, established in 2005, is increasing its holdings through donations. If you are doing Jewish history research, the website at the Cleveland Jewish Archives lists many area resources. Sometimes you just get lucky. But the key is knowing what is possible and then your eyes are peeled and your hopes are high. So what documents may be found in a veteran’s service file? I’m not talking about the normal DD214, or discharge papers or their draft records and enlistment papers. So much more genealogical data and history can be uncovered. 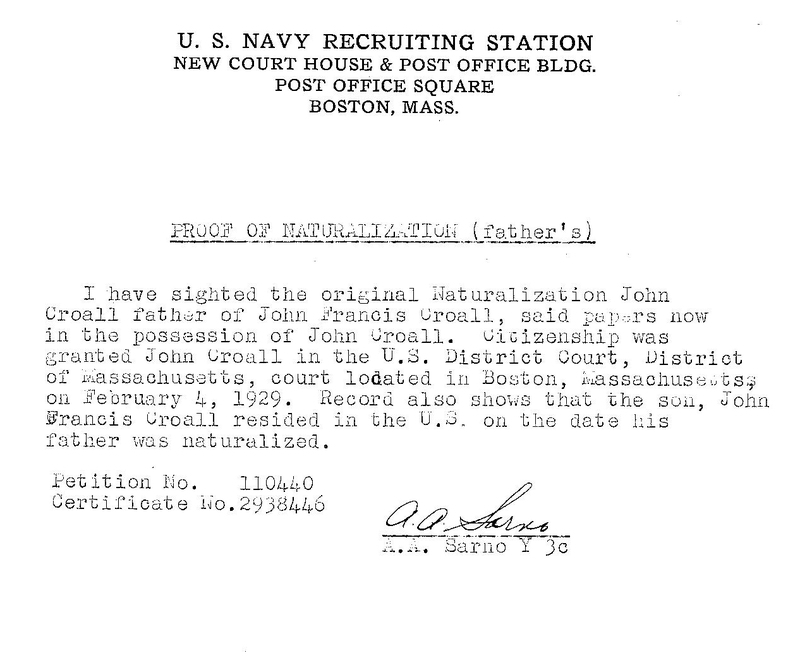 Here’s a copy of a US Navy veteran’s Proof of Naturalization. It is here that I have been able to open a case wide open. The actual Naturalization Petition Number and Certification Number are both provided with the US District Court and the date of citizenship. 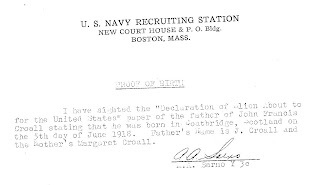 This was the “father’s” naturalization, suggesting that the son (the veteran) was a minor at the time of his father’s naturalization on 4 Feb 1929. 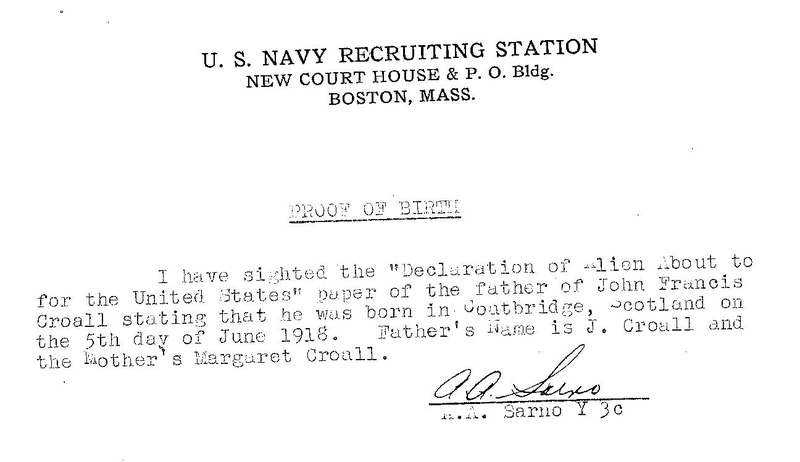 Proof of birth ensconced in military files is not uncommon for immigrants or 1st generation. In lieu of a country’s birth certificate, official government papers (i.e. Declaration of Intent, Naturalization, or Passport) could be used to verify birth place and birth date. Here we are given the birthplace of Coatbridge, Scotland and the date of birth as 5 June 1918. A bonus is reaped when the parents are named. Parent’s names can offer one of two prizes: 1) verification that you have the correct family (if you were looking for a John C with the parents of John. and Margaret). And, 2) If you didn’t already know the parent’s names, you do now! How many times have you accessed a veteran’s file to search for “military information” and looked over the Life Insurance? Excuses range from “it didn’t have information on where he was stationed” to I was looking for his troop and company information.” As genealogists we don’t have the luxury of limiting military records to military data. Through the years life insurance programs have been offered to Veterans. WWI - Beginning in 1917 the War Risk Insurance was offered to over 4 million veterans. Enrollment for veterans was available until 1951. 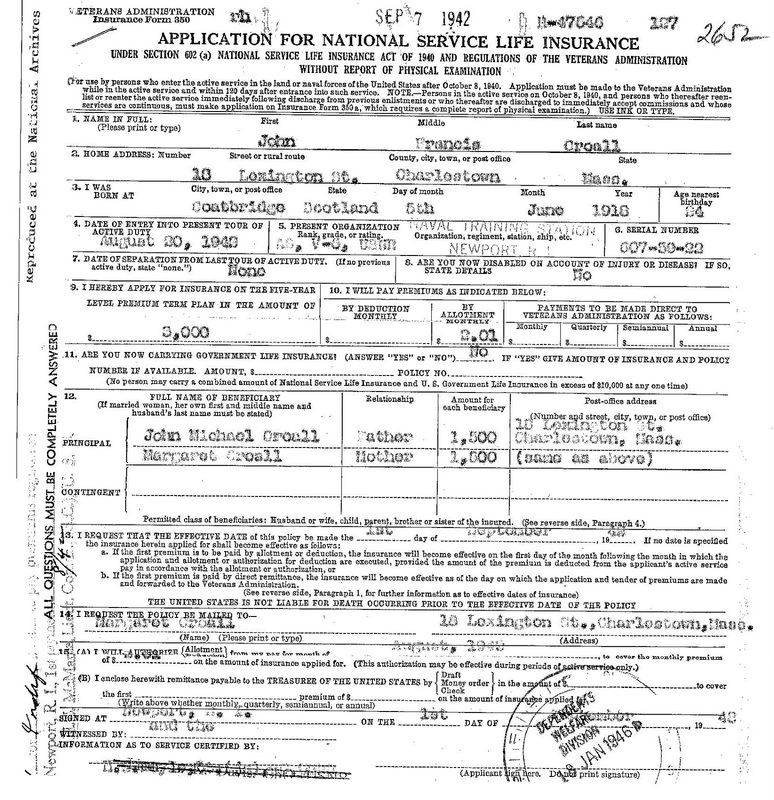 WWII - The National Service Life Insurance, as seen here, was a WWII program that began 8 Oct 1940. Policies were issued to over 22 million veterans. This program terminated 25 April 1951 (no new policies). For more information on Korean War, 1951, to Present Day insurance offerings to veterans, visit the Dept. of Veterans Affairs (VA) website. 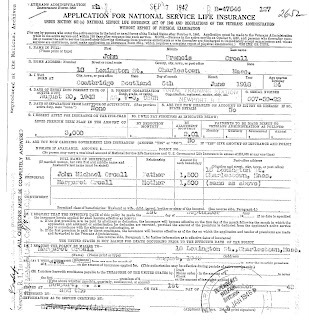 Full names of the veteran, and of the parents or spouses, are given on insurance records. Children may be listed also. Because full, official, names are needed, you may find a mother’s or spouse’s maiden name; or a mother’s remarried name on these documents. You are surely going to find a residence address along with the veteran’s birth date and place. So much more is in the veterans’ service file than military history. A common genealogy brick wall scenario is the story of ancestors who flock to the big city for jobs. This is best seen at war-time. So when a recent client from down-under asked me to assist, I pulled out my 3 step process: 1) Map out surrounding area to the distance of the largest city (cities); 2) Define area industries, i.e. ship building, textile, etc. ; 3)Define racial and ethnic communities. What were their neighbors doing? What was the trend for this community? So when searching for an Irish immigrant ancestor during WWII ensconced in Boston, it was no wonder that I stumbled on the neighborhood of Charlestown,located north of downtown Boston, MA. Immediately, my curiosity antennae’s stood at attention! How is it possible that in a one square mile neighborhood approximately 5000 men and 100 women served in WWII? Did mothers hold their breath watching one child after another leave for war? Who was left in the neighborhood of Charlestown? Did they share the same ethnicity? These are just some of the questions I had, when I heard of the Charlestown Veterans History Project. The Boston.com article Veteran tells 'their stories' speaks of the many families that watched five or seven of their sons go off to war. Of course they were lucky if half of them returned. It is said that Charlestown, a historically strong Irish neighborhood within the city of Boston can boast of the highest enlistment rates per capital in the country during WWII. In honor of those who served from this neighborhood the Charlestown Veterans History Project was born. What Did The Rest of the Neighbors Do? It appears that if you didn’t go to war, there was work at the Boston Navy Yard, formerly known as the Charleston Navy Yard. About 50,000 persons worked at the yards that never closed during the WWII. The Navy Yard dedicated its production to war ships: reconditioning, repairing, and building anew. I wonder did those who had a hand in building the notable WWII ships follow their creation to battle? Did they cheer the ships to victory? Of course there were other dominate Irish neighborhoods (i.e. Somerville, So. 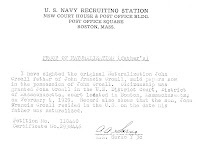 Boston, Dorchester, Roxbury) and some fellows involved themselves with the “Irish mob activity.” Some say, that escaping the gang activities was one of the motivators to join the military. But if the mobster/gang activity best suits your black sheep ancestor, check the prison systems and cemetery/funeral home records. Of course their infamous actions may have been featured front page. If this type of history exists in a neighborhood, Charlestown, MA would be the ideal host. This district offers not only the Charlestown Navy Yards, but also the Bunker Hill Monument, and the USS Constition Musuem and (why not?) the USS Constituion and the USS Cassin Young. You might have to dust off the history books for information on the USS Cassin Young, but here’s a hint: Navy destroyer. During WWII 14 Navy destroyers were built at the Charlestown/Boston Navy Yard (but not the USS Cassin, it was built in California). Did one of your ancestors work there? Note: I am proud to be associated with the Charlestown Veterans History Project. Adding the Numbers to Ethnic and Religious Research? Since I was tracing a Hungarian Jewish family from Ohio to Kansas City, I repeated this analysis for Ohio which led me to the Western Reserve Historical Society at the Cleveland Jewish Archives from the Feinstein Jewish Center at Temple University which held vertical files on my subject. 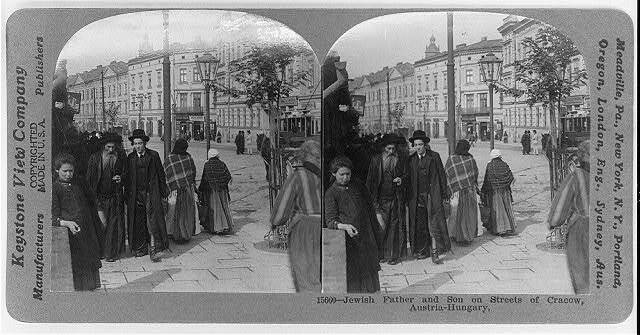 Kansas City is not a genealogical goldmine of Hungarian immigrant research archives or collections, but it is rich in local Jewish historical documents. So before perusing the JewishGen.org website, focus your research locally. Be sure to reference this source. The Saul Brodsky Jewish Community Library, St. Louis houses a collection of more than 22,000 books. “The Archives holds historical records of secular and religious institutions, family and personal memoirs, business records and local Jewish newspapers”(From the website). The University of Missouri, Kansas City is a great repository to begin your Jewish historical documents. Jewish Community Archives of Greater Kansas City. Be sure to visit the Index of Papers and Holdings. Q: Could this be Mary Martha Morris (Bird Gross) Gudger? There’s nothing more thrilling to me than researching historical subjects. 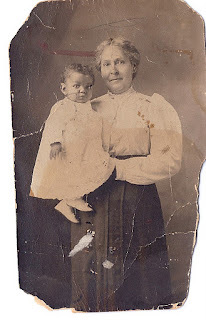 But when it comes to dating ancestral photos, I cringe. Not because of the detail, but because the haute-couture for the thin, metropolitan, rich European type as usually demonstrated is not the same couture for the rather round, plump wife of small town Kansas. So you can only imagine the gnashing of teeth that occurred when I had to determine who this woman was in the unidentified photo. I knew this rather round woman was one of the Morris women from central Kansas. But which one would be determined by the location and the year this photo was taken. The house I easily placed in Iola, Kansas. But the woman was a mystery. Who was she? Tobe Morris had 6 daughters and 2 sisters that fit the bill. All of them had round bodies, same facial features and as soon as they were able, they dressed out of Lane Bryant. I even have early letters where they traveled from Nebraska and Kansas by train to California just for shopping sprees at the Lane Bryant. Sure they visited the California cousins, but their letters were filled with their shopping finds. So what I really knew was this woman was between 65-80 years of age, and that the Morris family moved to Iola (the setting of photo) as early as 1885. This allowed me to eliminate, on location alone, the Jacksonian Era, 1830-1840’s, the Antebellum Period, 1850-1860’s, and the high full pleated sleeve costumes of the early Gilden Age. I have a checklist of “Costume Characteristics” for each era. For example, the Gilden Age had high collars and high pleated sleeves; whereas the Edwardian era, 1900-1910, began to show necks and shoulders. The Edwardian sleeves were tailored but not puffed high as a rule. By the late Ragtime and WWI era, 1910-1919 the collars and lapels were wide and often sported interesting necklines. This looked like my era! Using my checklist, I began analyzing from late 1910 forward. I figured with this photo I could bypass the flapper cloak styles, however I have photos of those early Morris cousins wearing the era styled wraps and hats. Oh, how fashionable they were! Other things I noticed: no bra. Yes the undergarment movement must be taken into account here. Oh, and let's not forget the short hair for a family of women that could usually sit on their mops of hair. That has to be taken into account. I had to also consider that the Morris women were quite well traveled and were possibly donning fashionable clothing not common to small town Kansas yet. But still, how fashionable could my almost 80 year old subject be? Starting with undergarments, bras were not that popular until after 1930. They probably weren’t introduced in the Midwest until about 1915 and even then, I wouldn’t expect an elderly woman to incorporate it in her wardrobe. But she was also going in public without a corset, and without the short-lived mono-bosom look of earlier years. Remember the hair? Women began wearing it short as after the war. Most would argue this was a more functional style of dress for the women who met the job demands of war time (WWI). So this is totally in line with my 1920ish timeframe. 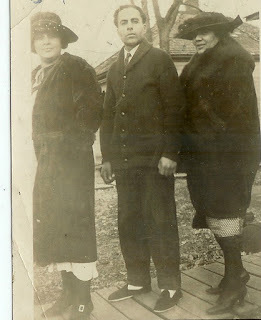 Did I just spend several hours analyzing this photo to find that it was taken Nov. 1922? Yes. But the exercise was good. And I didn’t do too bad since I narrowed it between 1920-1924! From here, I can check my database. 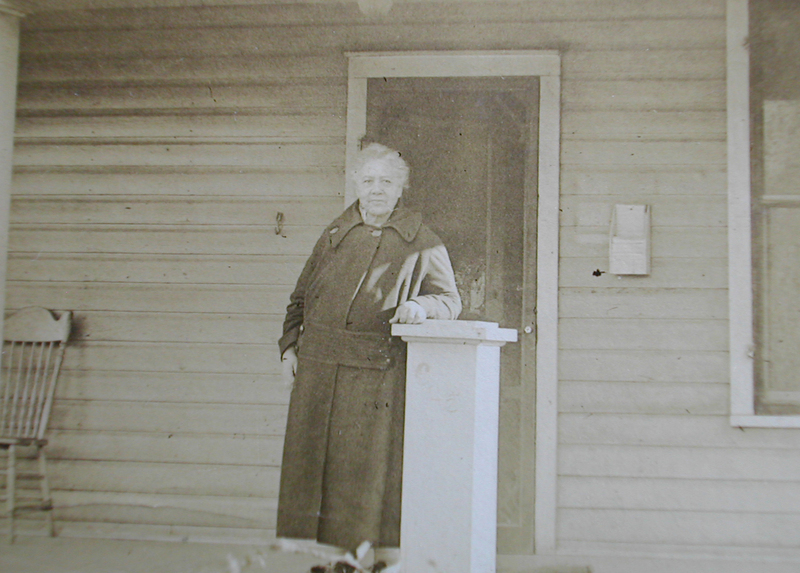 Which Morris woman was living in 1922 and would had been between 65 - 80 years old? The only possible Morris woman would have been Tobe’s sister, Mary Martha from North Carolina. Was she visiting that Thanksgiving? Well, that’s a whole new search! One of my favorite books is The 20th Century Fashion Sourcebook by John Peacock. My favorite online site: Fashion-Era by Pauline Weston Thomas and Guy Thomas.